The Meubelplein Ekkersrijt in Eindhoven, Netherlands, is a shopping haven for household items. The shopping mall features a unique architectural facade based on a twisting ribbon motif. 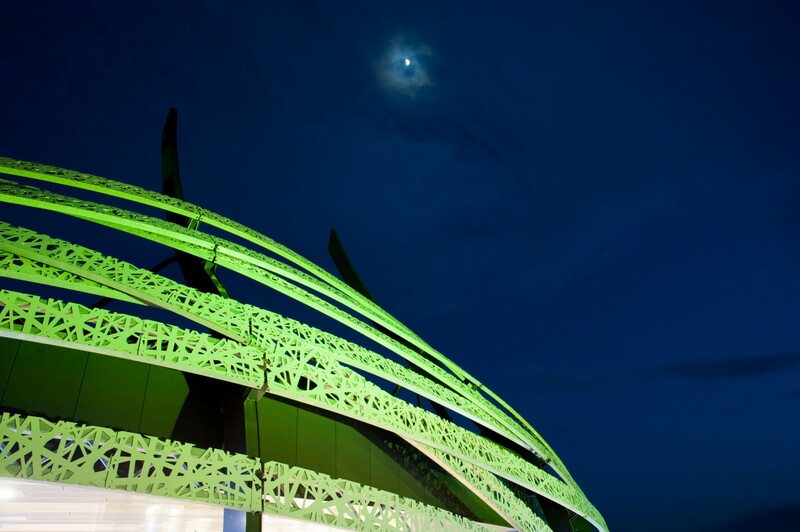 The result is a new nighttime landmark that appears to be glowing from within. 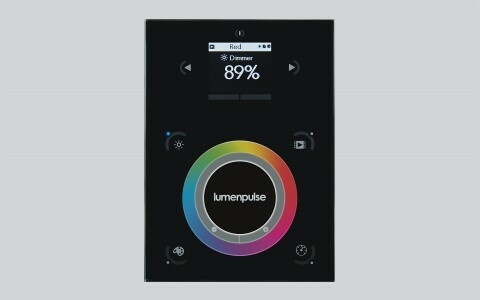 Lumembeam LBX Color Changing lluminaires were chosen for their high output and narrow optics. 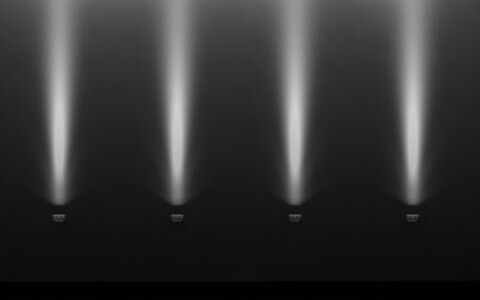 The luminaires were equipped with adjustable linear spread lenses. 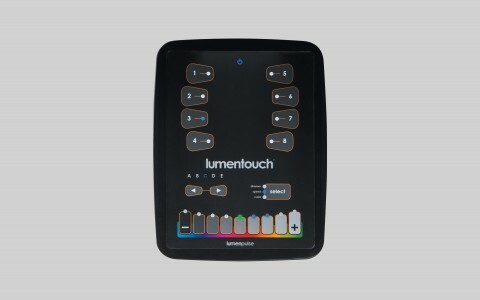 Easily programmable, they can also be used to commemorate holidays and special events. 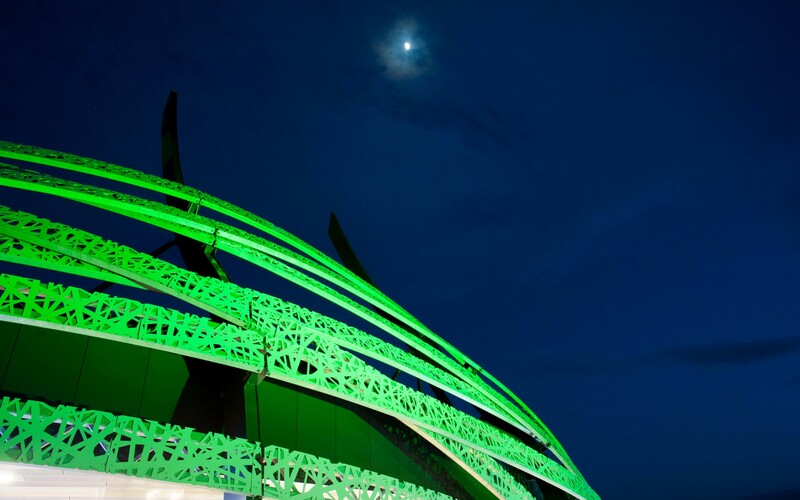 The luminaires transition through different color cycles throughout the night. This allows horizontal bands of light to be carefully aligned with the ribbons encircling the building. The result provides even illumination of the architecture wrapping around the building, while also hiding the light sources. The luminaires were installed on the roofs of the surrounding buildings. 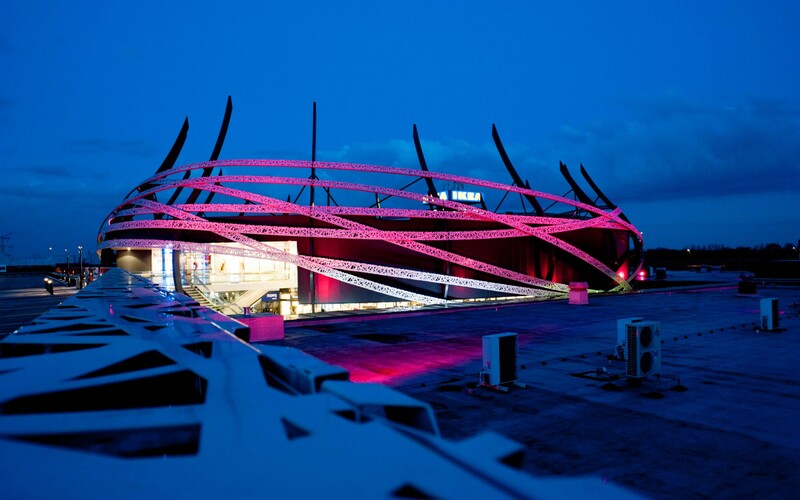 Lumenbeam LBX Color Changing luminaires with narrow optics and adjustable spread lenses were used to accentuate the dramatic twisting ribbon motif at the Meubelplein Ekkersrijt shopping complex in Eindhoven. The Meubelplein Ekkersrijt in Son en Breugel, near Eindhoven, Netherlands, is a shopping haven for household items, with over 20 big-name furniture and electronics outlets, including IKEA and Sanifair. 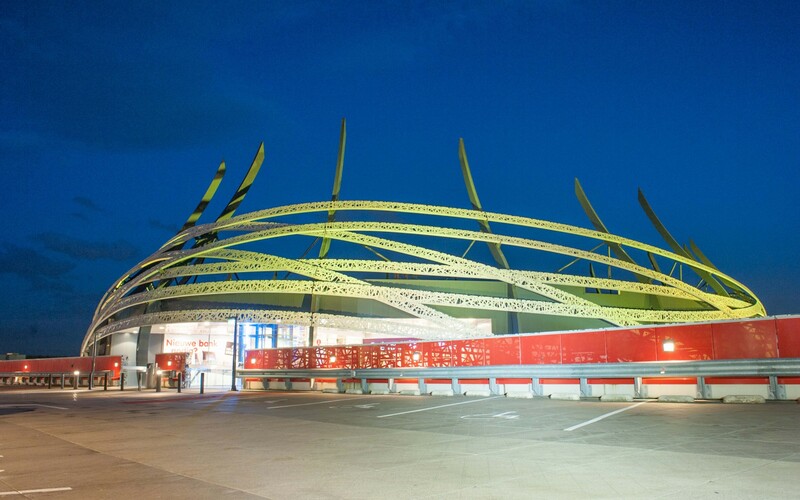 Recently renovated and expanded, the shopping mall features a unique architectural façade based on a twisting ribbon motif. Visually arresting during the day, the building's impact was lost by sunfall. "Although the Meubelplein Ekkersrijt is clearly visible from the highway, the building's unique architecture was lost at night. 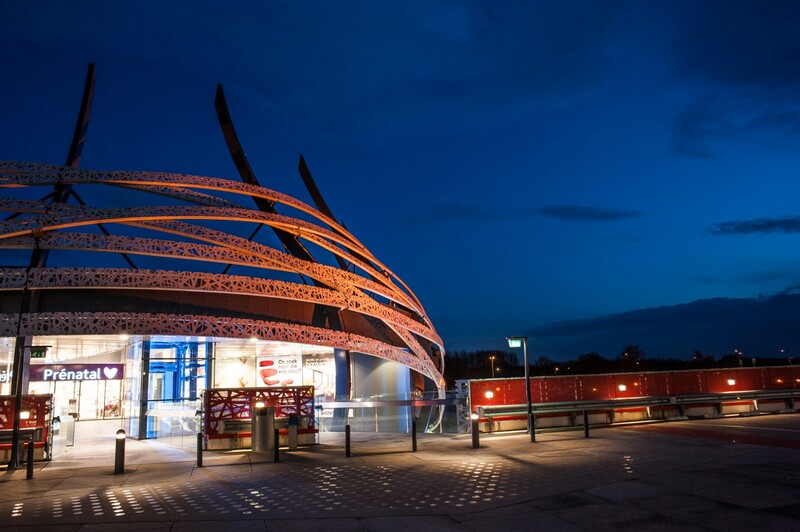 The client was looking for a way to maintain that impact when the sun set, to keep the building in the spotlight and attract more customers," says Melanie van Rijn, Lighting Designer at Industrielicht, who worked on the project along with Michael Harmanus, Lighting Advisor. 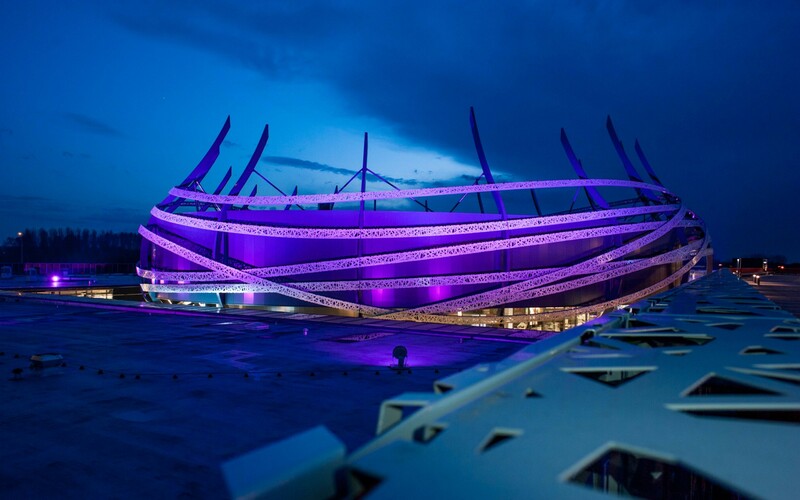 "The main challenge was to balance getting the correct quantity of light to put the focus on the twisting ribbon-effect wrapping around the building, all while hiding the light sources and spilling as little light as possible," says van Rijn. They chose Lumenbeam LBX Color Changing luminaires. "The Lumembeam LBX Color Changing had the full package of versatility, performance, and durability, but more importantly, they offered a combination of high output and narrow optics, which was essential to highlight the architecture in the way we wanted," she says. 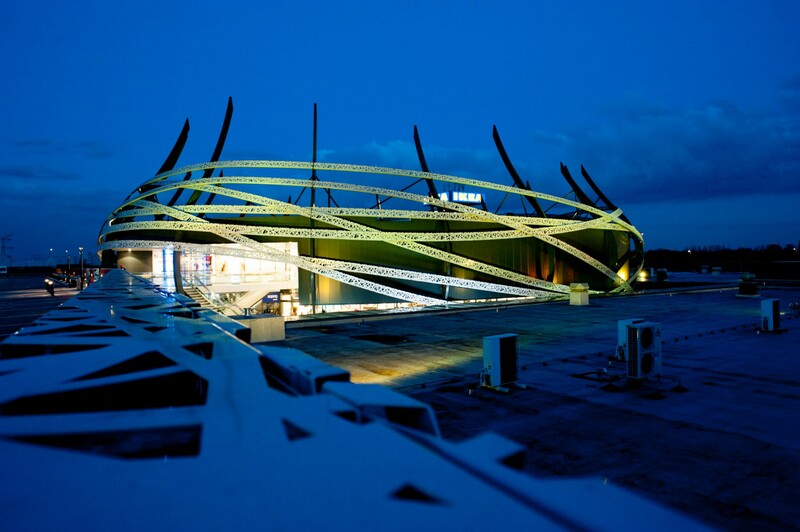 Installed on the roofs of surrounding buildings, the luminaires were equipped with adjustable linear spread lenses, allowing horizontal bands of light to be carefully aligned with the 'ribbons' encircling the building. 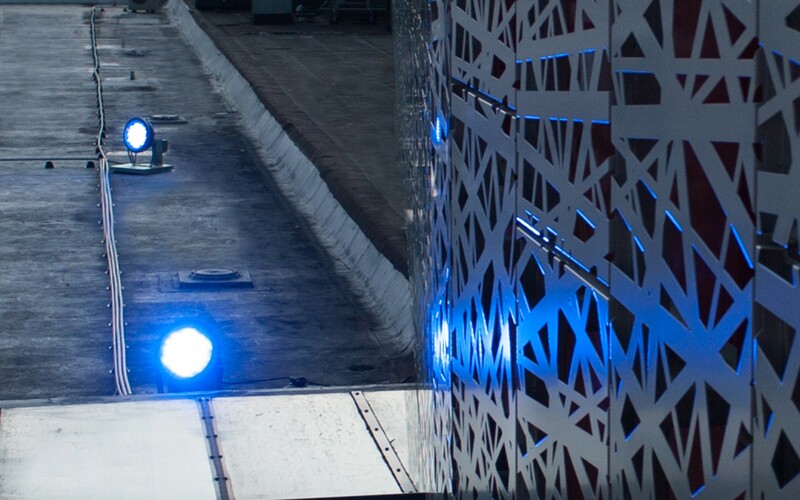 "This enabled us to evenly illuminate the unique architecture wrapping around the building, while also hiding the light sources. 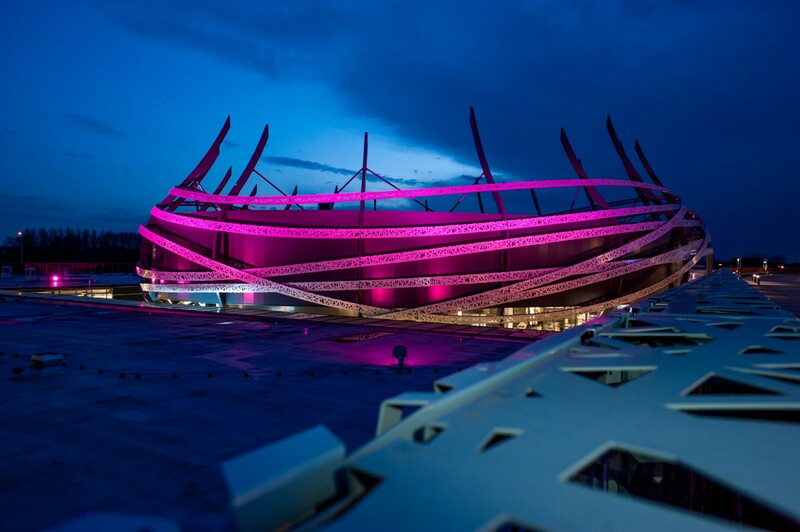 It makes it seem as if the building is glowing from within," says van Rijn. 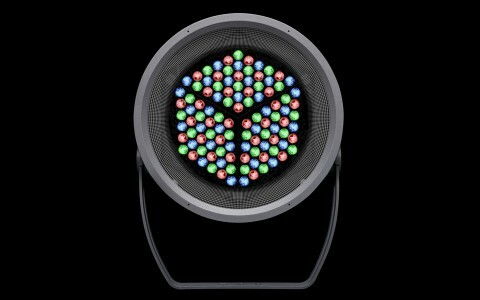 Dimmable and fully programmable, the luminaires transition through different color cycles throughout the night, and can be used to commemorate holidays and special event.